As longevity goes, not many games can compete with Skee Ball – a popular arcade game for more than 100 years. This ageless game is a staple at amusement parks and boardwalk arcades. 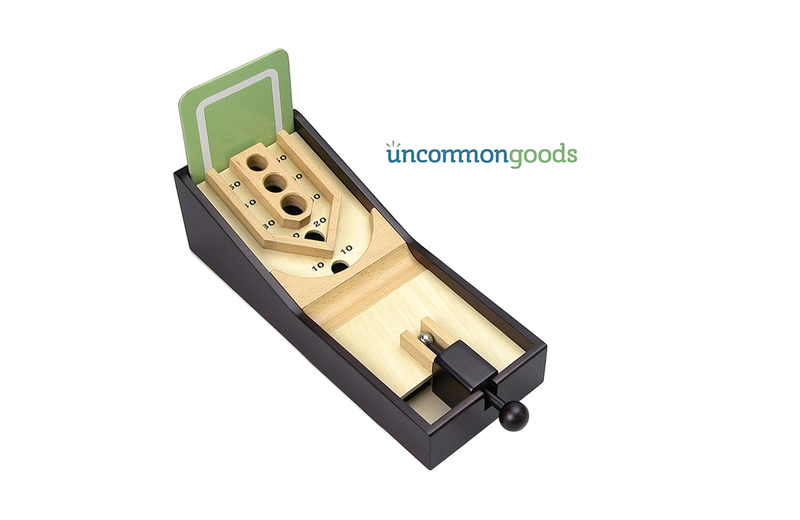 Now, Skee Ball can become a staple of home game collections or desktop diversions, thanks to UncommonGoods and its miniaturized version, Desktop Skee Ball. Crafted from plastic, metal, cardboard, stainless steel, and wood, Desktop Skee Ball measures roughly 15″ long x 6″ wide x 4″ tall and even includes an automatic ball return. UncommonGoods also includes an instruction manual, six sample score sheets, and two stainless steel balls in the package – perfect for honing your craft until your next road trip to Coney Island or Atlantic City! Anchors aweigh! The LEGO Ideas 21317 Steamboat Willie set pays homage to the short film and the now-iconic mouse - just in time for the film's 90th anniversary.